American banker and author; born in New York city July 2, 1861; educated in the public schools and at the College of the City of New York. In 1900 he became a member of the New York Stock Exchange firm of J. H. Sulzbacher. 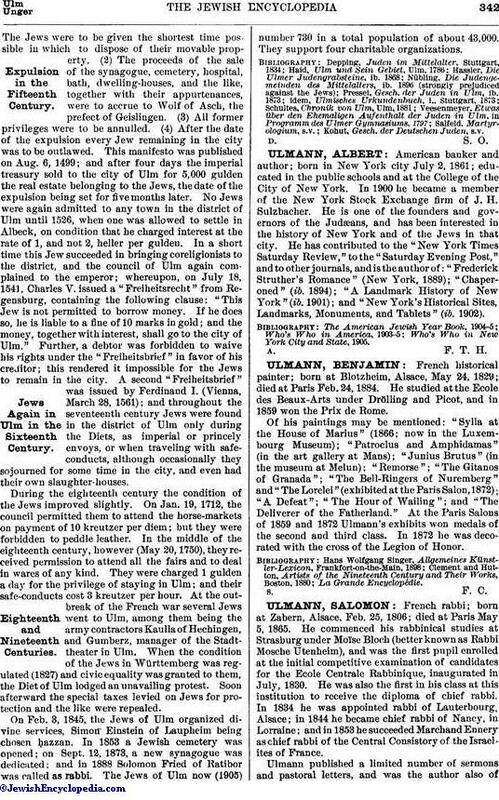 He is one of the founders and governors of the Judæans, and has been interested in the history of New York and of the Jews in that city. He has contributed to the "New York Times Saturday Review," to the "Saturday Evening Post," and to other journals, and is the author of: "Frederick Struther's Romance" (New York, 1889); "Chaperoned" (ib. 1894); "A Landmark History of New York" (ib. 1901); and "New York's Historical Sites, Landmarks, Monuments, and Tablets" (ib. 1902).